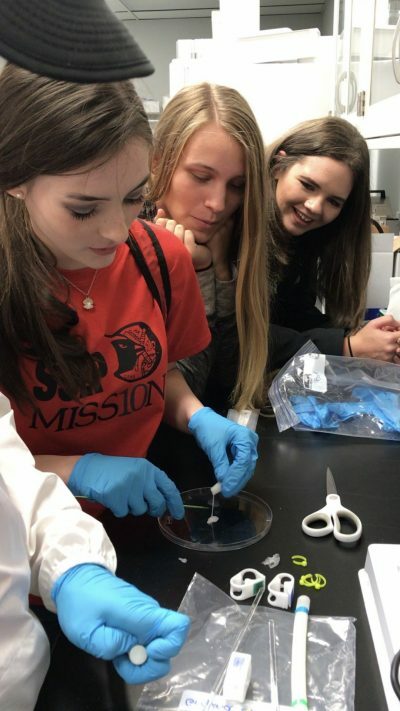 As part of the program, the students designed an experiment (creating a polymer in microgravity) that was performed by astronauts on the International Space Station last summer. 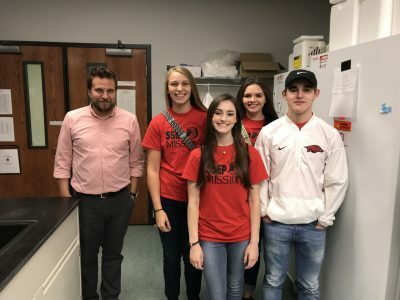 They visited the U of A in order to analyze experimental results, and with the help of Dr. Quinn and graduate student Alan Woessner, they were able use a custom microtester to perform tensile mechanical tests on polymer samples mixed on earth and the international space station. 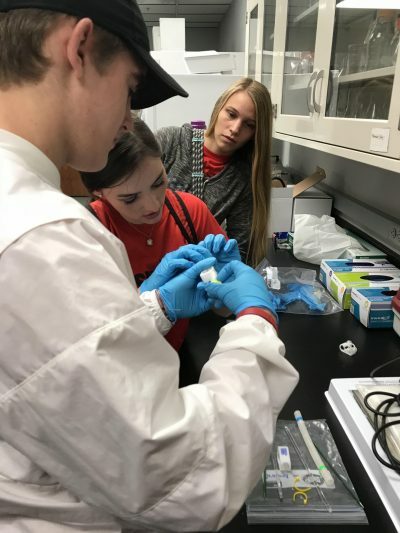 In the process, Dr. Quinn explained, they also learned basic mechanics of materials concepts. The students are now at work on their final report, which will be submitted to SSEP when completed. 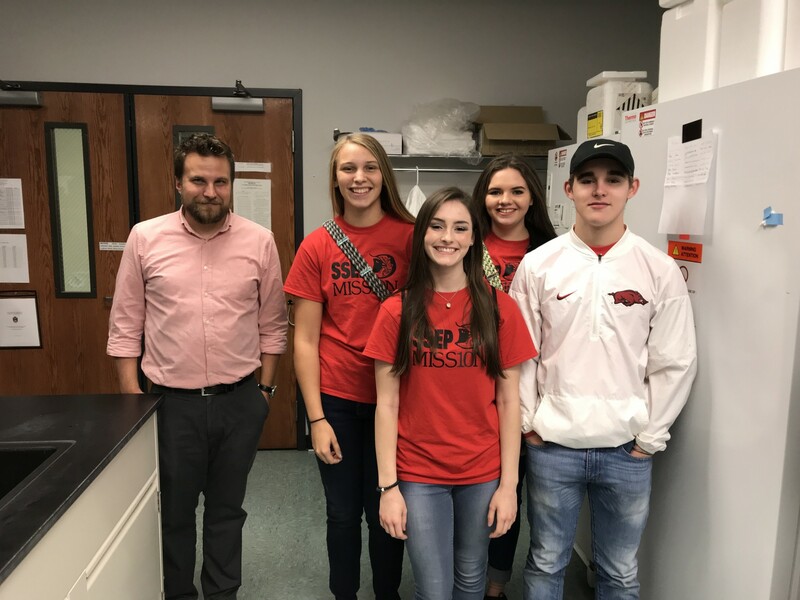 “Visits like these clearly demonstrate the intent of our faculty to actively engage with the next generation of researchers in our communities; and to expose them to cutting edge technologies,” said Dr. Raj Rao, professor and department head in biomedical engineering.